Compare some of the best eCommerce platforms for small businesses and enterprises. Pros and cons of Shopify, WooCommerce, Magento and more. Find the best eCommerce solutions for your online store. A new bugfix release is available. The release contains important fixes. Currently, Atwix is #1 contributor to Magento in 2018. Among all the projects that Atwix has greatly contributed to, the one we are especially proud of is Multi-Source Inventory (or MSI as we all call it). The rise of eCommerce has put extra emphasis on convenience and shipping. While the two go hand-in-hand, shipping has become an essential component in successful businesses. Here are the 8 Things You Need to Know about eCommerce shipping. 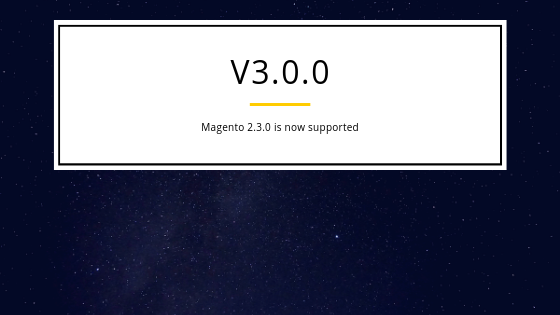 With the demise of Magento 1.x on the horizon – Adobe announced in September 2018 support for version Magento 1 will cease in 2020 new life has been breathed into the product with version 1.9.4.0. Magento Open Source v1 covering Magento versions up to 1.9.x is still the eCommerce platform for many small businesses and whilst we all know we need to move to Magento 2 the time and resources required to migrate a successful v1 shop to v2 are for many people prohibitive. Results show Paypal Express and PayPal Credit can increase your conversion rate and average order value. Get to know Hirokazu Nishi, CTO of Veriteworks Inc.
You see, no one wants to waste those one or two weeks in stress worrying on how it’s going out there in the office. And what if you are leaving for more, maybe a month? How to come back and be sure you will be able to put together all the pieces of the puzzle, how to save yourself from seeing all those nightmares where your clients leave you with angry complaints or even worse, where you get fired. If you’re one of those who care about the things mentioned above, take a comfortable seat, a snack and check the list of possible steps to take. His stature has him towering well above the other llamas that surround him at Classy Llama. And his worn, size 13 cowboy boots show he’s more than willing to dig in when you need to simply get things done! For an amazing B2B e-commerce website, you need to consider your customers’ needs. From site speed to content, we break down the top 10 must-have for your site. To start with, the browser is the main tool which WEB QA uses for his work. I prefer two browsers and they are Google Chrome and Safari. Google Chrome(GC) is a good choice because it’s popular and it has a huge amount of different plugins but it’s a little bit heavy for the system. Another one is Safari, it’s very fast for web surfing, but it doesn’t have as many useful plugins as GC. Regarding the rest of less popular browsers such as Opera or IE we have a great service “BrowserStack”. There’s more information about it down below. eCommerce SEO has the ability to increase visibility and drive potential sales to your B2C or B2B website. These are the cornerstone to any successful eCommerce website. Use these 15 Tips to Boost Traffic.